A place to SUPPORT SSI eligible youth and their families. Helping to unleash the potential of SSI eligible youth and their families. Welcome to the Association of University Centers on Disabilities (AUCD) PROMISE TA Center. The Promoting the Readiness of Minors in Supplemental Security Income (PROMISE) program is an interagency collaboration of the U.S. Departments of Education, Health and Human Services, Labor, and the Social Security Administration. Under this grant program, state agencies have partnered to develop and implement six model demonstration projects (MDPs) that provide coordinated services and supports to youth with disabilities receiving supplemental security income (SSI) benefits and to their families in order to improve the education and career outcomes. Six model demonstration projects have been established serving a total of eleven states. The AUCD PROMISE Technical Assistance (TA) Center is funded by the U.S. Department of Education to provide assistance to the six MDPs, provide information about interventions and supports for SSI eligible youth and their families, and link the MDPs in order to create the best possible outcomes for youth and their families. Competitive integrated employment (CIE) means jobs in typical workplaces, alongside workers without disabilities, where people with and without disabilities are paid the same. CIE is critical to achieving equal opportunity, full participation, and economic self-sufficiency for people with disabilities. CIE helps people with disabilities access and participate in the broader community, develop meaningful relationships with peers without disabilities, build new skill sand self-esteem, and gives meaning to their days. Perhaps most importantly, CIE provides people with disabilities a pathway out of a life of poverty and towards economic independence. There are recent federal and states policies that are advancing opportunities for CIE, such as the Workforce Innovation and Opportunity Act (WIOA), Home and Community-Based Services (HCBS) Settings Rule, and State Employment First policies. These policies provide important opportunities for people with disabilities, their families, providers, and other stakeholders to work together in their states and local communities to expand CIE. This paper provides five suggestions for engagement, as well as additional resources. 19 year-old New York State PROMISE student Kevon has overcome many challenges so far in life. They range from growing up in a neighborhood where violence was prevalent to numerous difficulty family and personal situations. The PROMISE team in Western New York, including Niagara Falls Case Manager and Parent Coordinator Mia Crumpton and Kevon's hard work have helped him get onto a successful career path where he has just received an incredible job offer. 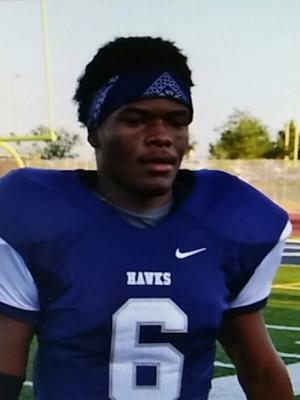 Tresjon is a 17 year old senior at Silverado High School in Victorville. He has one sister and three brothers. Tresjon and his mother Tameka were interviewed by their Career Service Coordinator (CSC) Alani Sablan on their experiences with CaPROMISE and Tresjon’s four year academic and football scholarship to Mount Ida College in Boston, MA after high school. Listen to the interview or read the interview transcript (also attached below) at https://www.capromise.org/voices-of-capromise/tresjon-thenarse.